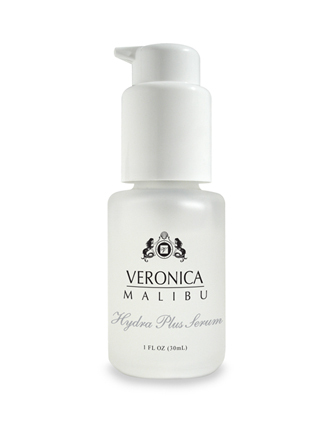 The Veronica Malibu Hydra Plus Serum is a light serum that replenishes the skin and restores comfort. 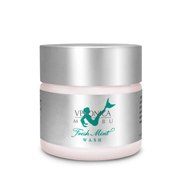 It provides an antiseptic barrier to help fight acne and environmental impurities. Hyaluronic Acid is the key water maintaining substance in human skin. Its low-weight molecular structure allows it to penetrate into the skin and decrease the appearance of wrinkles. Despite its small molecular size, Hyaluronate is able to hold up to 1000 times its weight in water. Skin will be smoother and softer and have a more youthful appearance. Beta Glucan is is a a natural, moisturizing collagen builder, delivering its benefits to promote healthier, younger-looking skin. It's immune boosting, wound healing powers, makes beta glucan helpful for use on acne prone skin that needs hydration. Apply several drops into the palm of your hand. Using your fingertips, lightly dot and massage into the neck and face, avoiding direct contact with the eyes. It is recommeded that the Veronica Hydra Plus be applied prior to using the Veronica Antioxidant Cream, which seals in its healing benefits.